bi-weekly Round Up for March 29th! 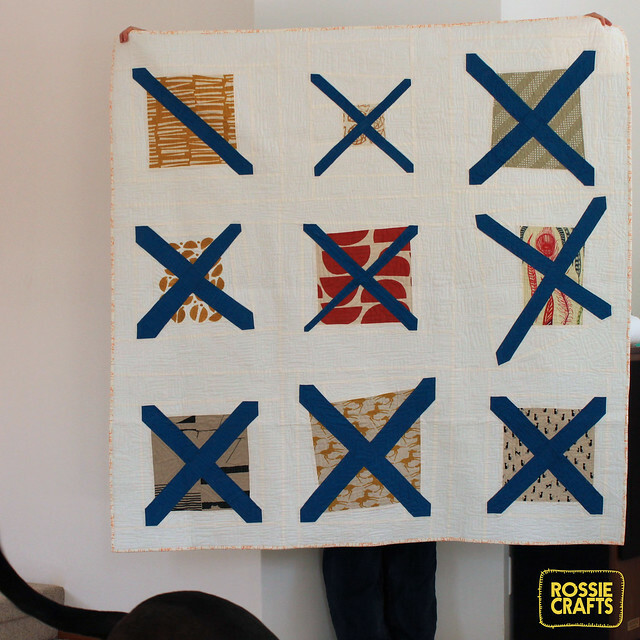 Rossie has finished another quartered log cabin quilt! (Tutorial here) Love the colors! 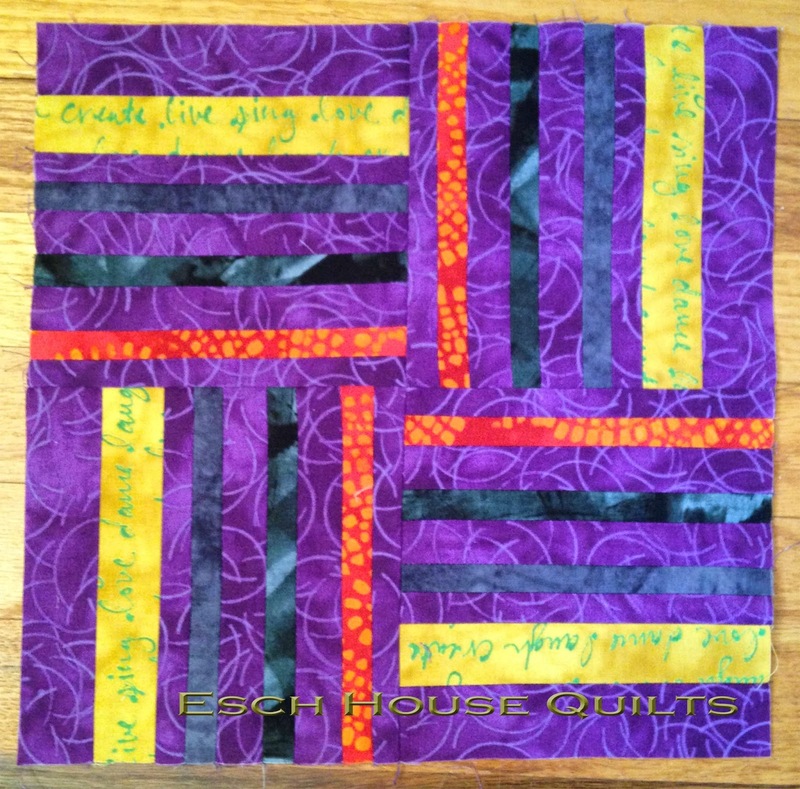 And she had another post talking about Free Motion Quilting. Lynn is taking preorders for autographed copies of her book, Every Last Piece. 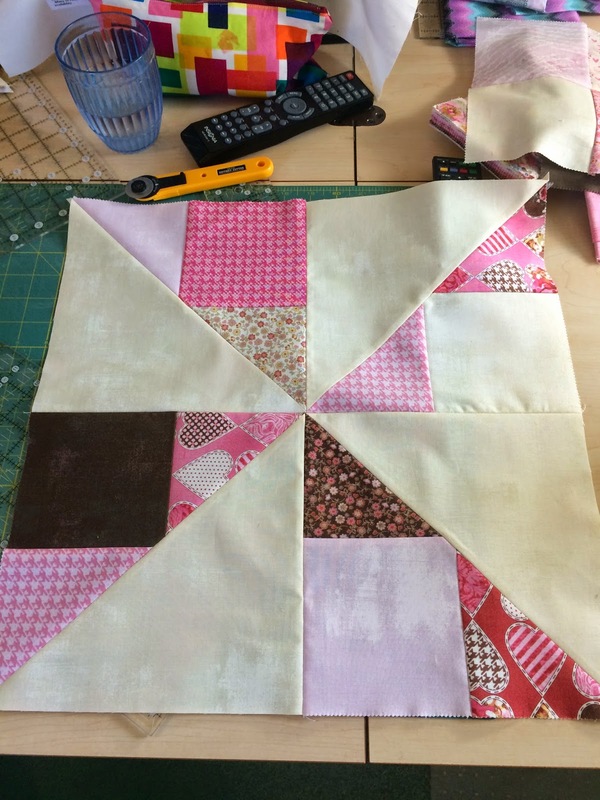 Debbie has started working on a Carolyn Friedlander pattern, the Circle Lattice. And she also made a dress! We managed to cover quite a bit at Wednesday’s meeting. Sorry for the overall unorganized feel—I forgot to add topics to the agenda. Thanks for bearing with me, though! I appreciate it! o If you were unable to attend the meeting but filled out the Google form, come in to Pink Castle Fabrics and pick up your fabric or contact one of us. 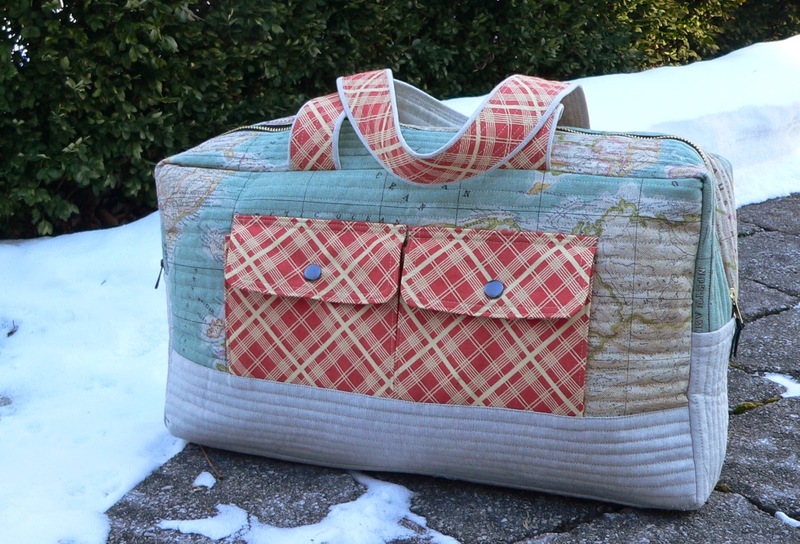 o If you plan to sew something for Brenda to take with her to market, it needs to be dropped off at PCF by May 11th. You must only use PMD and RJR Cotton Supreme Solids (available at PCF and elsewhere). 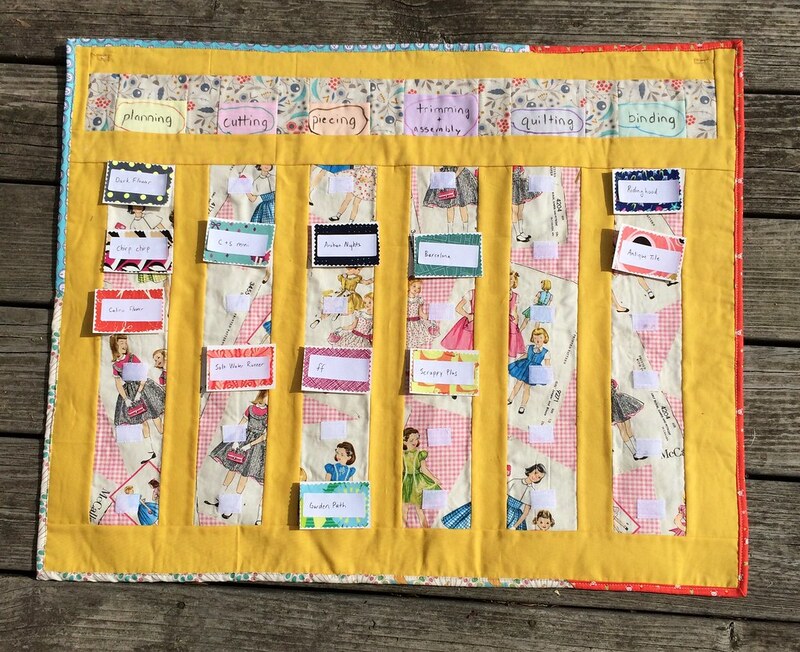 o If you plan to sew something for the guild challenge, plan to bring it to the July meeting. 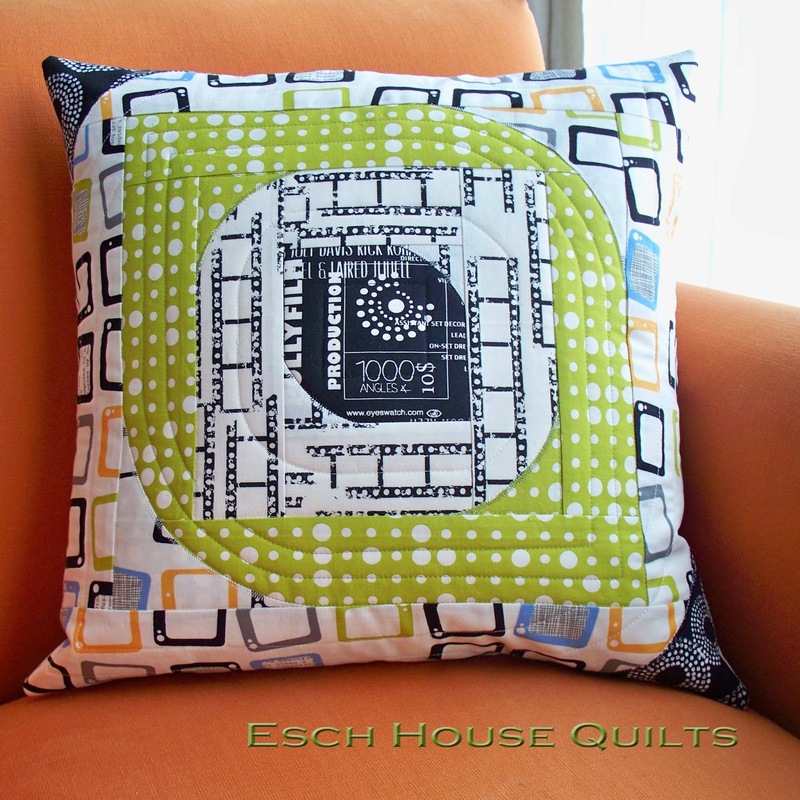 You can use PMD with any other fabrics you’d like. o We discussed two possible date options for a summer retreat. We will have more information at the next meeting. 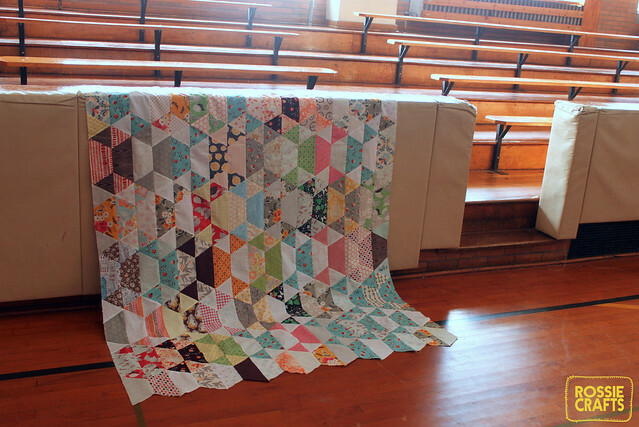 o We have two quilts to donate. 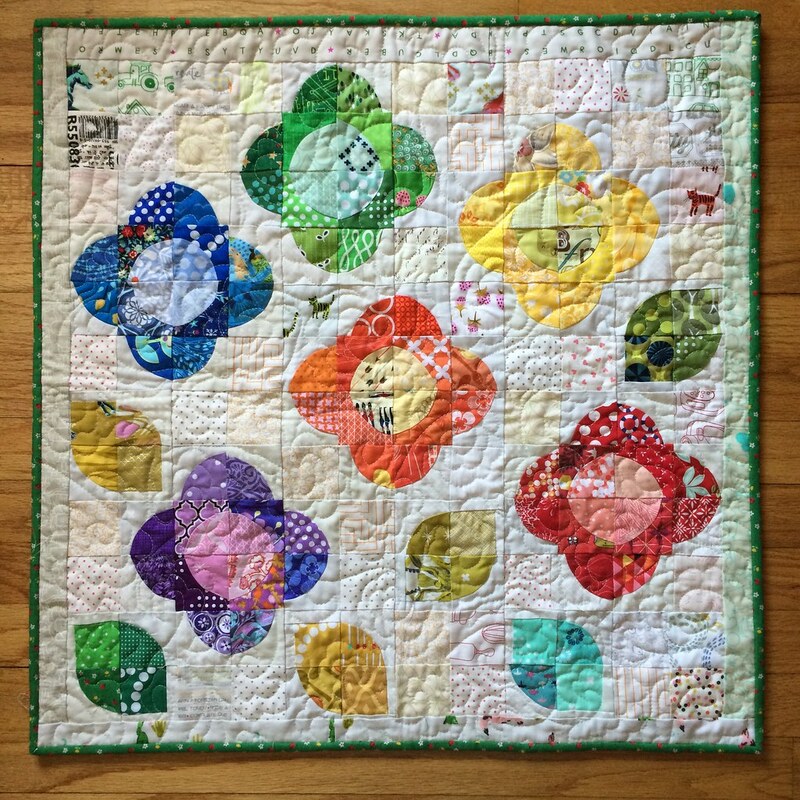 We had decided to auction the quilts on eBay and donate the proceeds to the charity of our choosing. Expect a poll in your email soon to vote on the charity we will support. o We are in need of a new President and a new VP Programs should Debbie Grifka be elected President. Laura Dolson and Amy Diebold have both expressed interest in running. We will hold a special election at the April meeting. 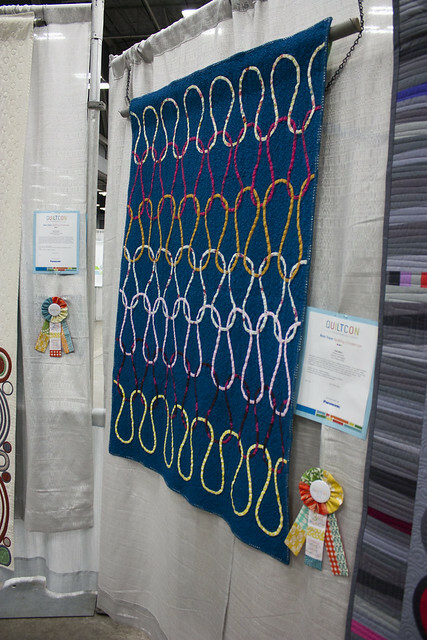 § If the quilt hung at QuiltCon (or if it has been displayed anywhere within 200 miles of La Grange, TX), it is not eligible. § There is no entry fee. § Must have been made after 2005. § Submissions due April 30th. § More information can be found here. § This is a juried contest with cash prizes. 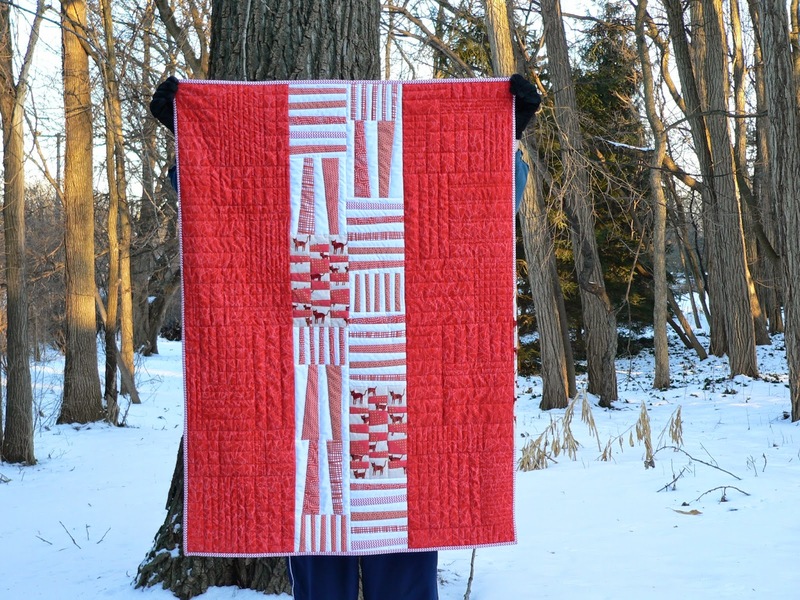 § Some quilts chosen will become part of a traveling exhibit. § Submissions due December 1st, 2015.
o Our initial response to the munch and mingle time before the general meeting was great! We are going to keep these a monthly occurrence. To keep this up, we have volunteers already scheduled to bring snacks and beverages for the next two months. You can sign up at the next meeting. Talk to me (Hayley Cason) to sign up. o To keep this up, we discussed creating a new hospitality position. I’m seeking one or two other people to be hospitality chairpeople. 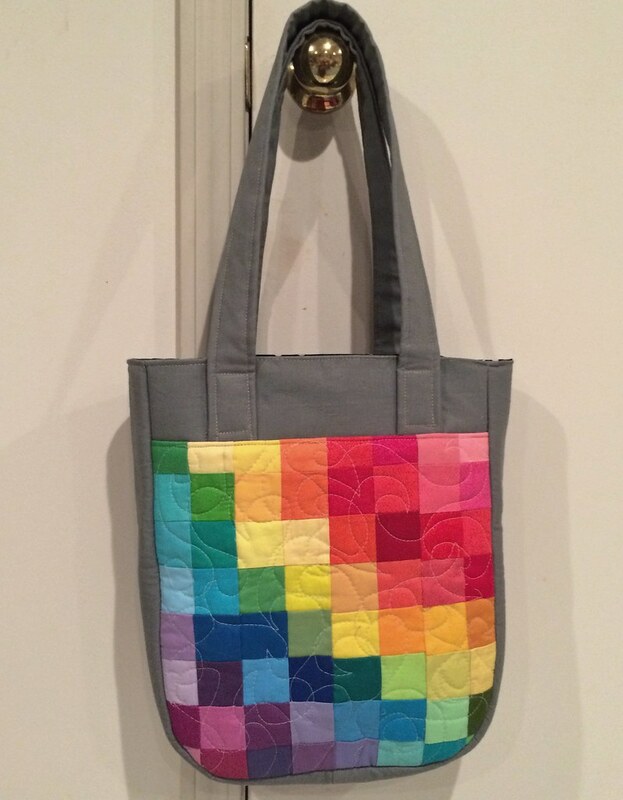 Send an email to a2modernquiltguild at gmail if interested. o We are required to have liability insurance to continue to meet at Calvary. It will likely cost us $600/year. If you work in the industry or have any information that could reduce this cost, please email the guild address or Jen Bernstein. o We discussed potentially raising dues a small amount in order to cover this fee, since it would leave us with very little in the bank. o Rossie is coordinating this joint retreat with members of the Chicago MQG. More information to come. o We briefly discussed our goal of each person in guild creating at least one charity quilt per year. 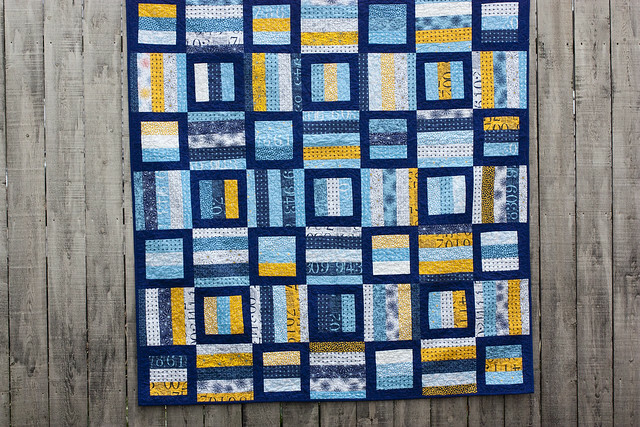 o The charity page on the blog has more information about patterns and size requirements. o These will no longer be held at PCF. We have a few locations to look into, so I will keep you posted on our findings as far as cost, availability, and locations go. o In order to communicate more effectively with all members, we have created a private Facebook group. 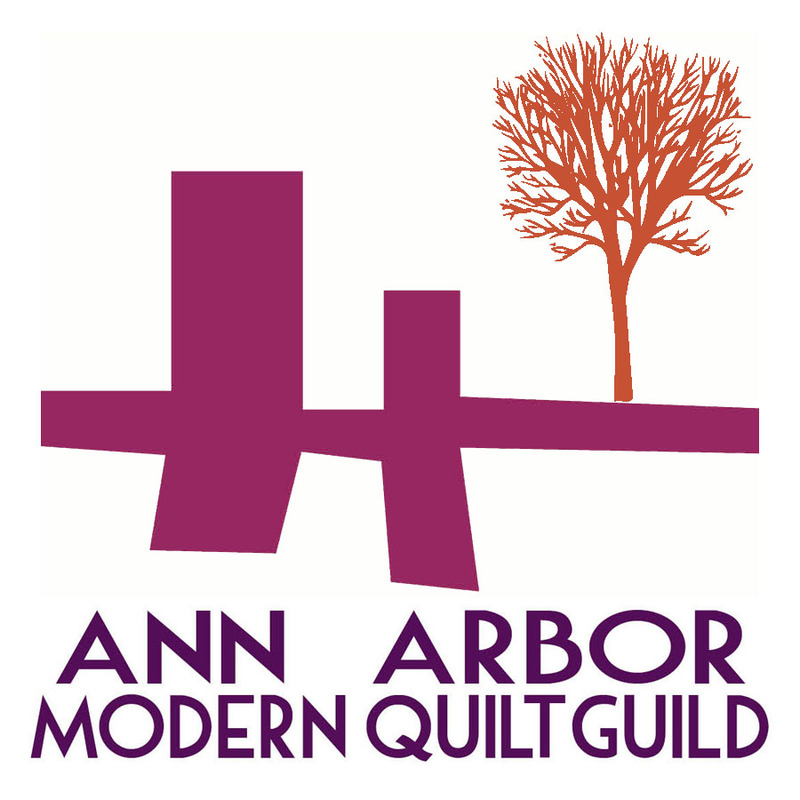 Invitations have been sent out—if you did not receive one, email a2modernquiltguild at gmail with the address you use to log into Facebook and I will be sure to add you. Kathy Koch was going to do a skill school on different types of batting; unfortunately, she was sick. We’ve postponed this to next month, and there will be giveaways! Next month, we’ll get to see some of Giedra’s creations! This month, we had a block lottery organized by Dorie. Participants brought Scrappy Trip blocks for a chance to win them all. Our winner was Kat! It will be fun to see what she makes with all of them. April’s swap will be a pincushion swap. See the Swaps page for more details. 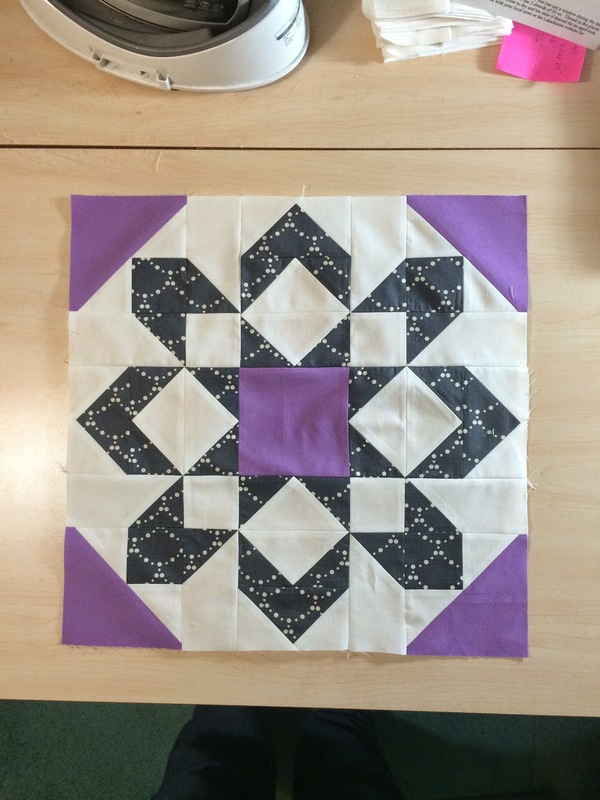 We had some fun quilts at show and share this meeting! Jenna brought this fun and interesting quilt to the meeting. 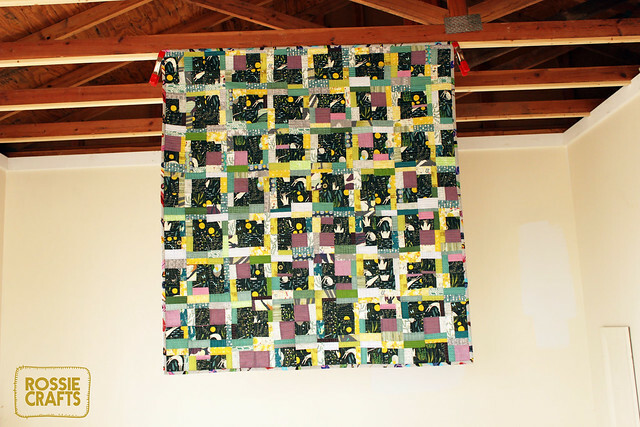 Hayley G made quite a bit of progress on her Aerial Grove quilt. 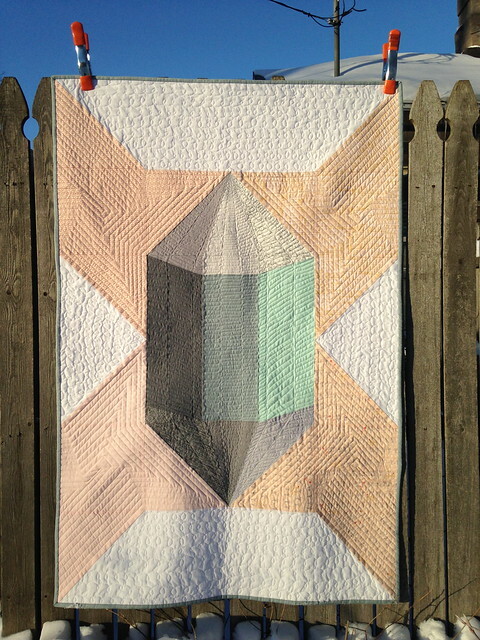 Laura Dolson is figuring out how to quilt this beautiful Space Dust finished top. Well, I think that's it for this month's meeting. Let me know if I left anything out. Hope to see you all in April! Our next meeting will be on Wednesday, March 25th at Calvary Methodist in Ann Arbor (located at the corner of Miller Ave. and Newport Pl. on Ann Arbor's west side at 1415 Miller Avenue). The meeting will start at 6:30 p.m.
Brenda has received samples of fabric for her upcoming line, Pie Making Day, for us to use for a guild challenge! Because we are going to get it with only weeks before market, she has new rules for the challenge, which will be discussed in depth at the meeting. Also, we now have 68 members! While this is great for our guild, it has come to our attention that it is difficult to get to know everyone when we only meet for a couple hours each month. With this in mind, we are going to start doing a Munch and Mingle (or meet and greet, or whatever you’d like to call it) between 6:00 and 6:30, immediately before the general guild meeting. We will provide light refreshments and we hope that you’ll join us and get to know fellow members. Whew! That was a lot! Well done, everyone! 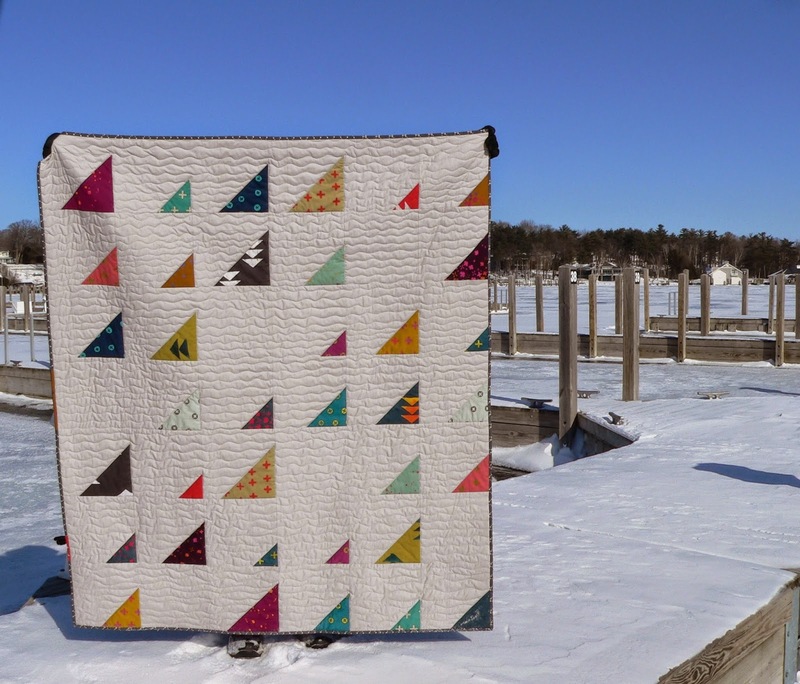 And it doesn't even mention that Stephanie has a pattern in QuiltNow as well, and Debbie has the cover quilt in the QuiltCon magazine! 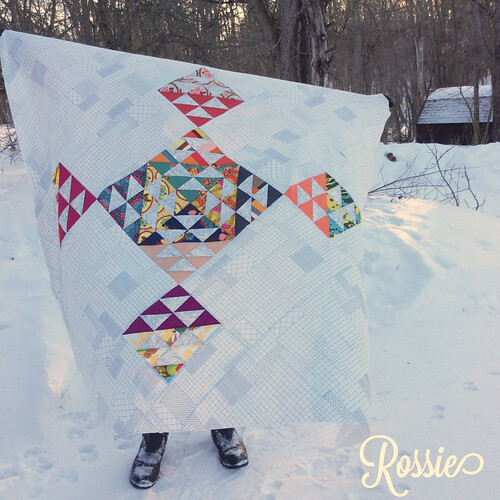 A few blog posts have appeared about Quiltcon: from Rossie, from Jenna, from me.